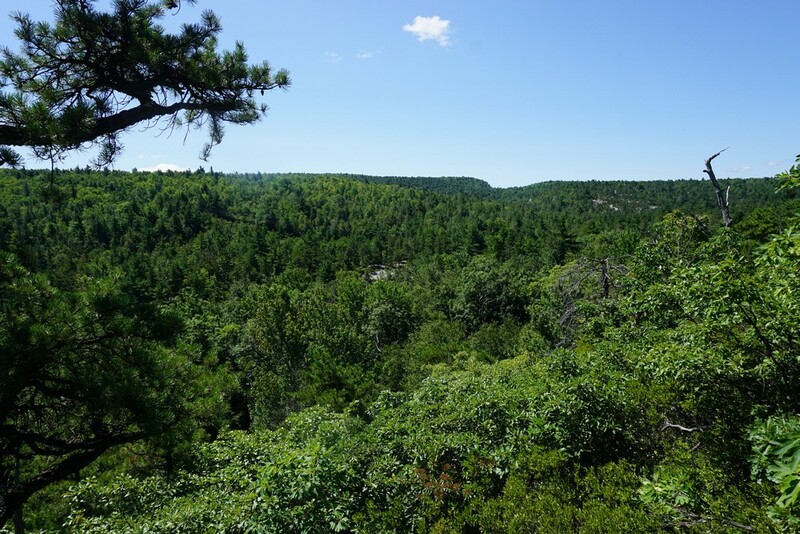 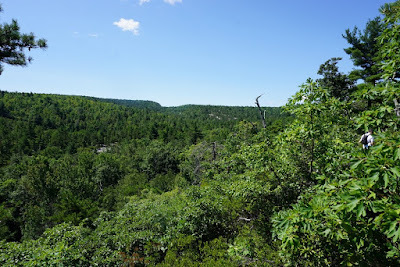 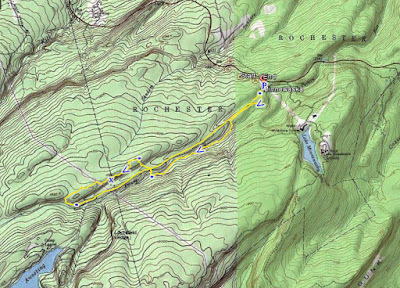 I had been in the lower Catskills over the weekend, and wasn't too far from Minnewaska State Park. We needed a lighter hike that wasn't too dramatic, so this seemed like a good choice. The weather was very hot, as its been for much of the summer, and there was a bright blue sky and strong sun. 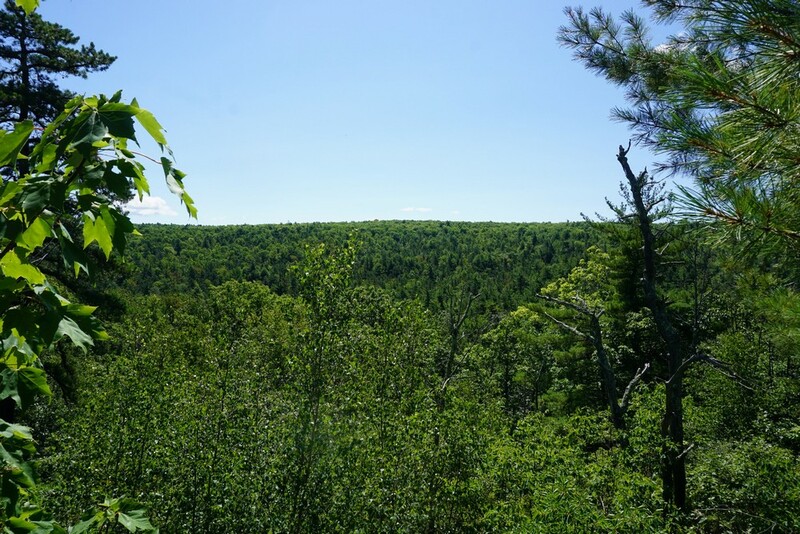 We parked at the lower parking area for Minnewaska. It looks like they are restructuring the entrances for the park by making all traffic go through the lower entrance. 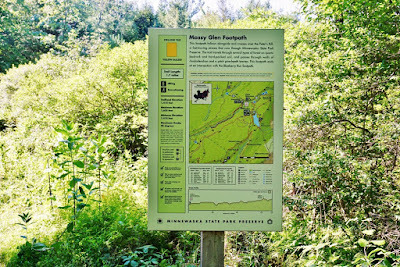 We took the Lower Awosting Carriageway for a very short distance until the Mossy Glen Trail. 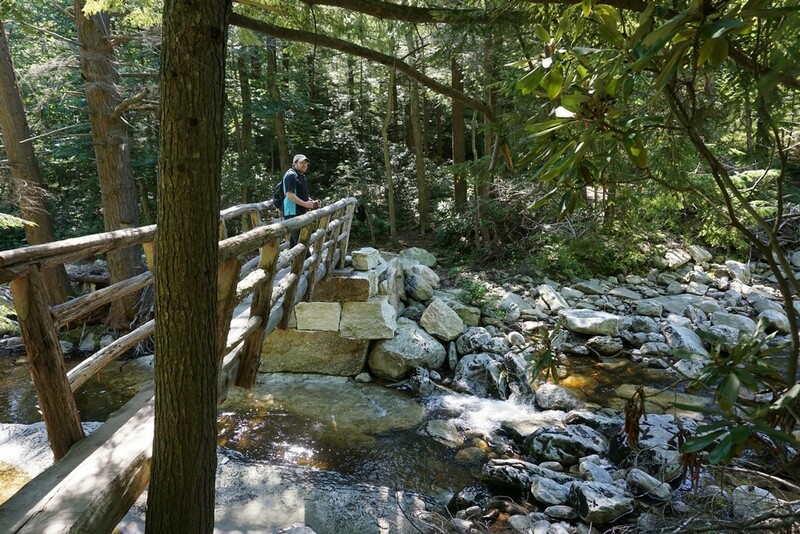 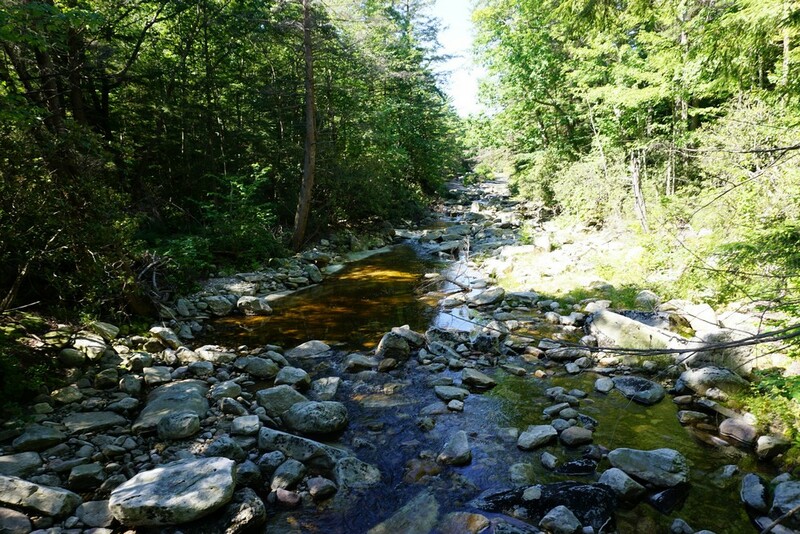 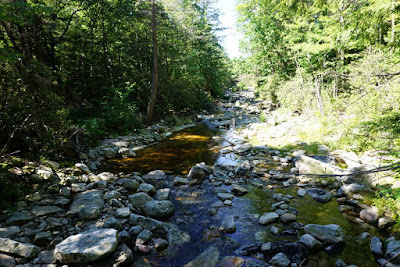 This trail starts off without much fanfare, but then crosses the Peters Kill and goes alongside this creek. 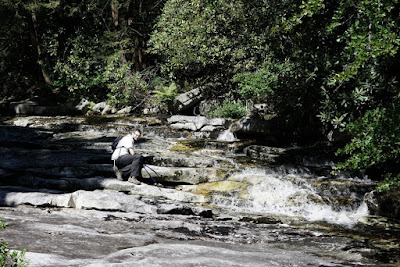 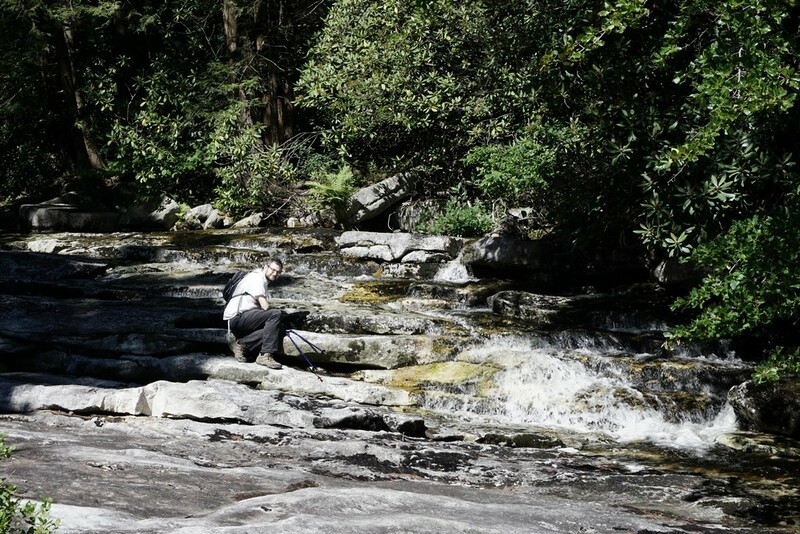 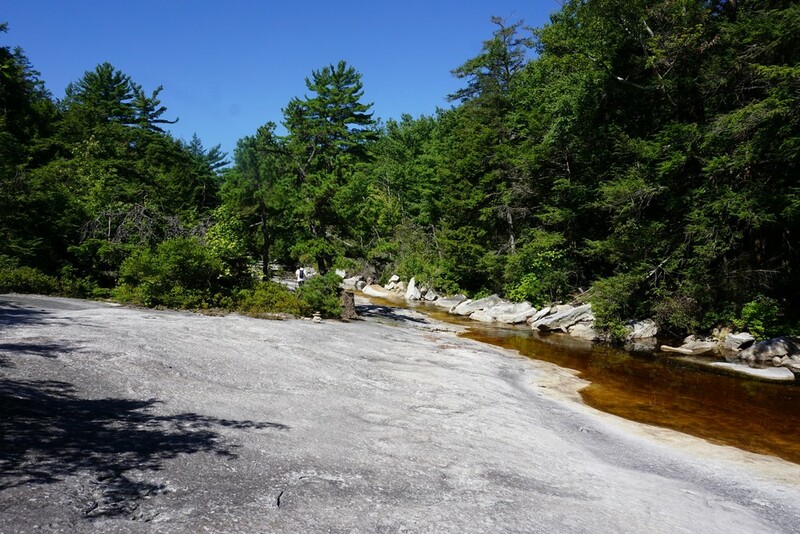 The Peters Kill is very scenic, with interesting rock faces and many small cascades along the way. 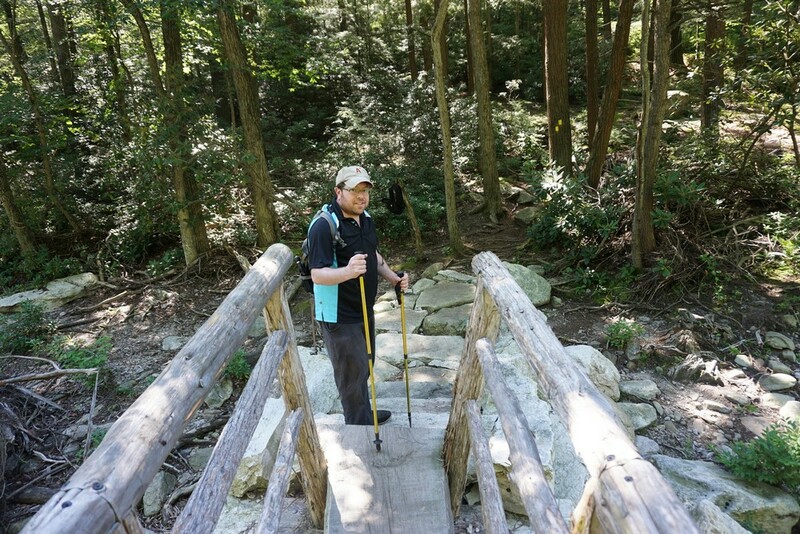 At the end of the Mossy Glen Trail, we took the Jenny Lane Connector Trail west up the hill, crossing the Lower Awosting Carriageway, and then reached the Jenny Lane Trail. 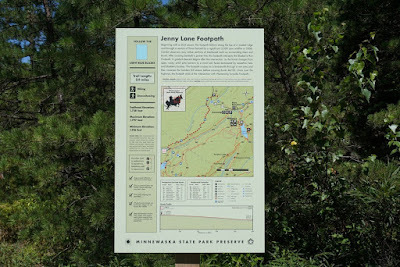 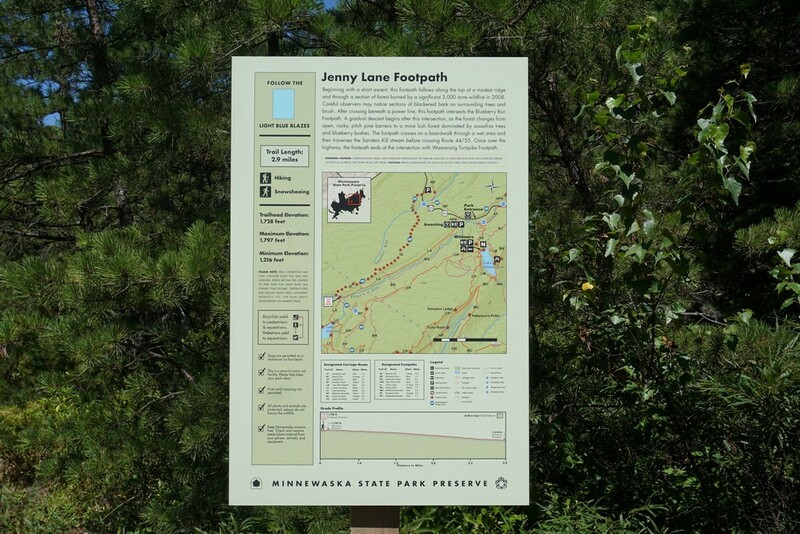 We took the Jenny Lane Trail south, looping around back to the Lower Awosting Carriageway. 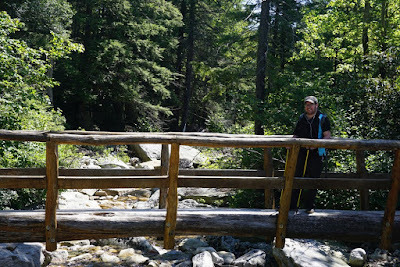 We then took the Lower Awosting Carriageway straight all the way back to the parking area. 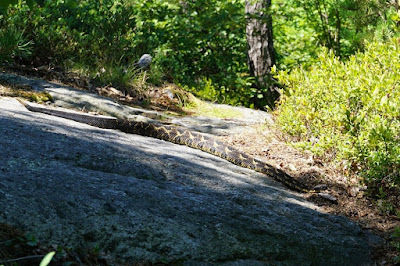 Timber Rattlesnake Snaking Across Jenny Lane. We Backed Off and Patiently Let him Pass us. 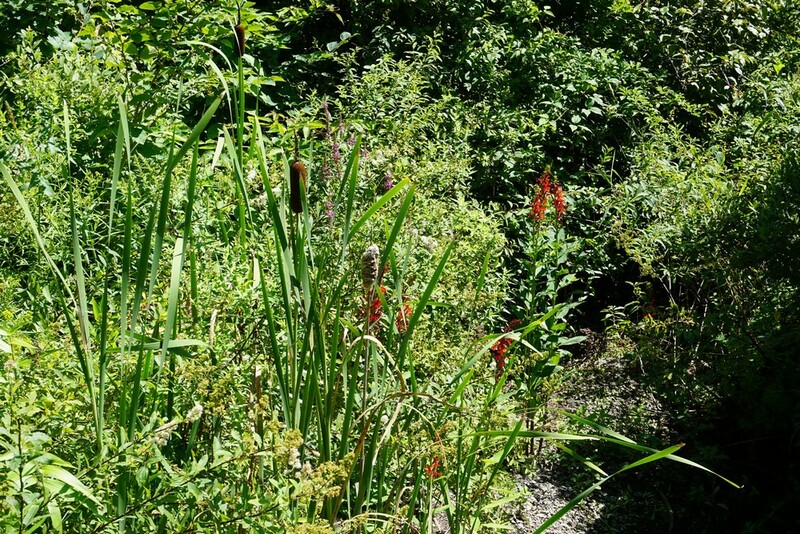 Pretty Swampflowers and Cattails Near the Parking Area.